Announcing the newest addition to the Chubbs Bars family, the "Chubby Saver!" A revolutionary product when paired with Chubbs Bars, to help extend the life of your bar - and much more! Read on to see how you can win a FREE Chubby Saver, along with a Chubbs Bar of your choice! 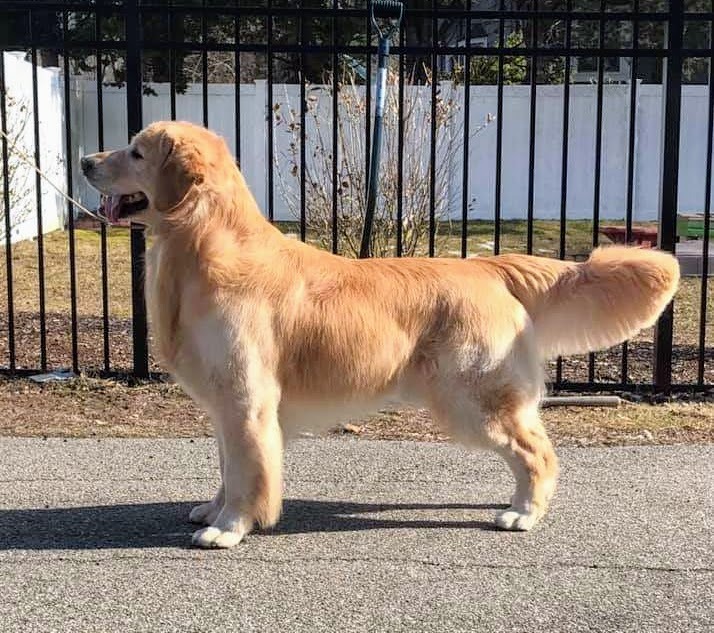 Chubbers everywhere are going to fall in love with our newest addition to the Chubbs Bars family - introducing the “Chubby Saver!” Whether you are a busy groomer, or just a pet owner at home, you are going to wonder how you ever lived without it. 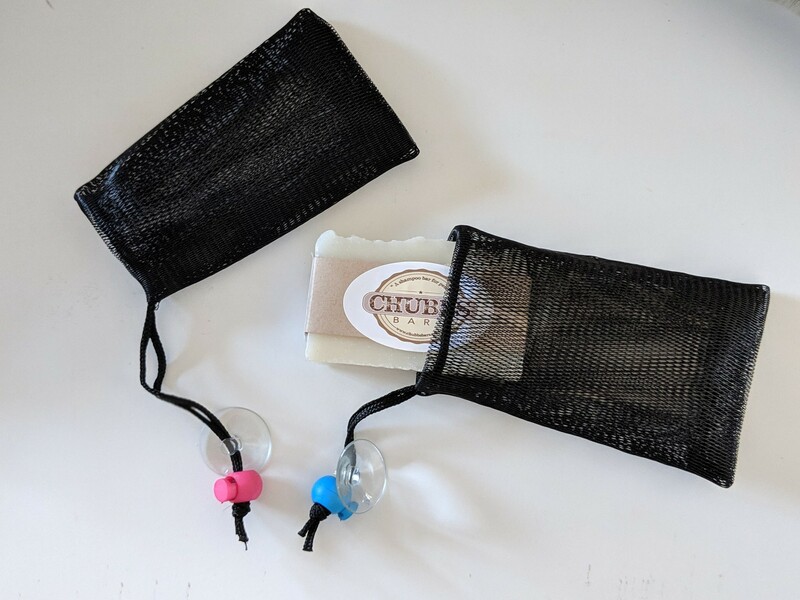 The revolutionary Chubby Saver is a waterproof mesh bag, that perfectly fits and prolongs the life of your favorite Chubbs Bar. Complete with a drawstring to keep your bar safe and snug, it also is used as a ‘wristlet’ to hold tight on to your bar. 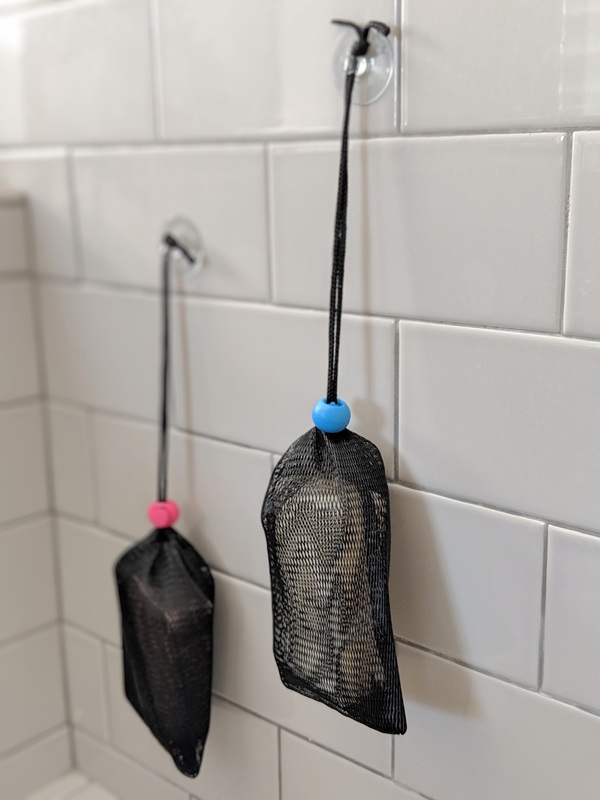 When finished, simply hang your Chubby Saver up in your tub to dry with the attached super suction cup. There are so many added benefits to using the Chubby Saver, that are going to save you time and even money! Let me tell you how. This waterproof mesh bag is revolutionary when paired with our Chubbs Bar shampoo. 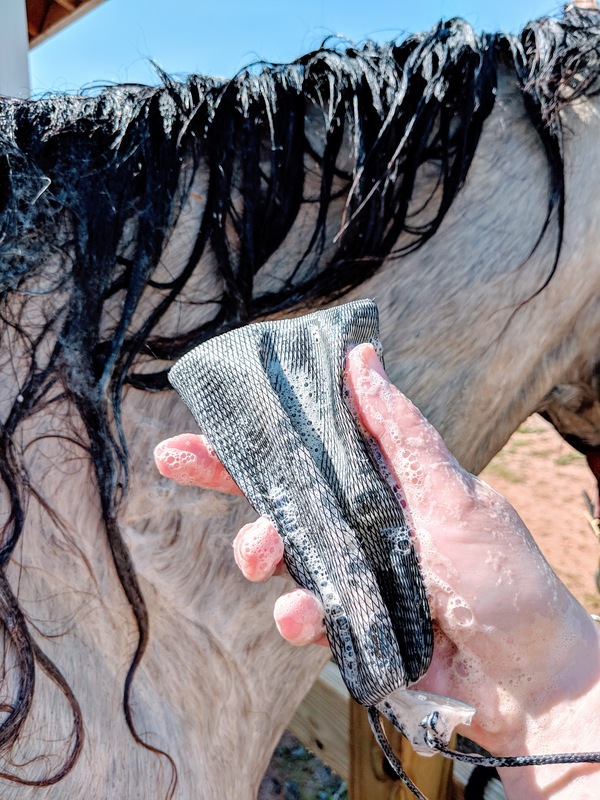 While other soap savers may be similar, ours is actually infused with Bamboo Charcoal. We chose this feature because bamboo charcoal is anti-bacterial. We think it makes perfect sense, since it’s very important to inhibit the growth of bacteria when using our bars. With it being waterproof, the bag doesn’t stay wet. This not only means it restricts growth of bacteria - but it means your bar is drying faster, too. Which makes it last longer. The fastest way to dissolve your bar is unnecessary exposure to water. Since the Chubby Saver comes with an attached super suction cup, it easily stores out of the way. Hang it right up on your tub or sink, in between washes! No more resting the bar on the bottom of the tub, or wet surfaces where it can disintegrate. While hanging, the bar is able to dry faster. The key to making your Chubbs Bar last is making sure it’s not resting on a flat surface, where it can easily dissolve. 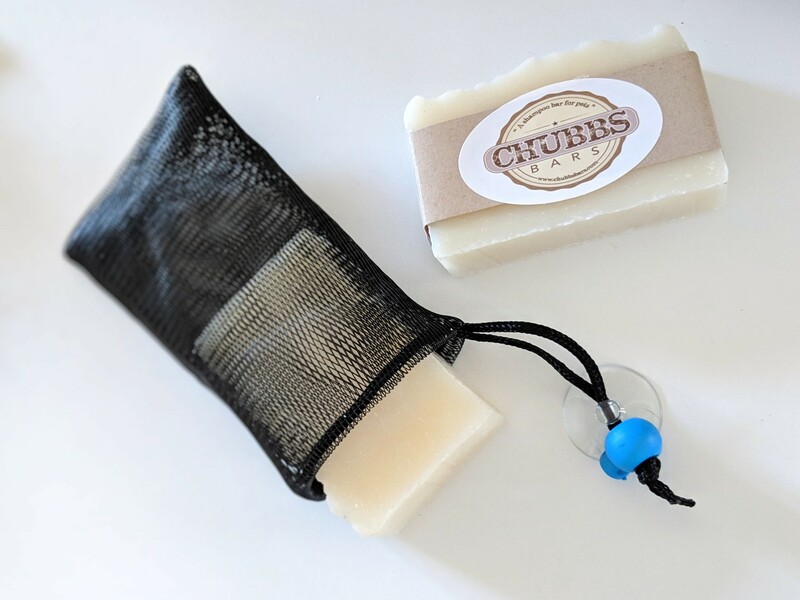 Chubbs Bars are self sanitizing, but you want to make sure they are stored in a dry place, or somewhere they can dry easily. This solves that problem! Each bag also comes with a colored drawstring clip. This makes sure your bag stays closed when in use, and it also is a fun indicator of which bar you are using! Some salons have multiple tubs, or you may wish to have multiple scented bars readily available for use. Each bag comes with a different colored clip, so you can distinctly tell the difference between bags. The Chubby Saver does just that - it helps save your product. The bag minimizes exposure to the whole bar, in turn making it last longer. The mesh design helps lather your bar much quicker, using less product and effort that you would have to create by hand. Also, it’s a great way to use up all those small pieces! Combine them together in the bag, and get every drop of use out of your bars. What a great way to save your money! The Chubby Saver is not only great at preserving your bar, it’s also a gentle exfoliator. The soft mesh design grabs loose hair, and really helps the product get down to the skin. The bag also creates a super rich lather with minimal effort. You’ll see the bubbles dripping from your bag almost instantly! The massaging effect that the bag has is key to using Chubbs Bars shampoo correctly. To get perfect squeaky clean results, product must be gently massaged all over the coat to deeply penetrate each strand. The Chubby Saver helps do this much quicker that you could by hand, saving you bathing time! The exfoliating and massaging effects are an amazing benefit to using this bag, and getting you beautiful and better results. The tricky part about a bar of soap is obviously holding on to it! With the Chubby Saver, you’ll no longer be juggling or dropping your bar. It’s easy to hold on to, and really helps you get into those hard to reach places more directly. With the attached wristlet string, even if you drop it - it’ll never fall out of reach! This is especially helpful when bathing larger dogs, because it’ll save you time not having to fish for the bar out of the tub. No more dropping the bar into the water, and dissolving product! How about bathing horses? No more bending all the way down each time to grab the bar when it drops. Also, no more filling buckets and wasted liquid shampoo! Stop bending down to soap up your sponge and overusing product just to make sure it lathers up. Don’t forget, you should change out your Chubby Saver regularly - like you would your toothbrush. A great deal at 1 for $5, or 3 for $12! Get your Chubby Saver today, and improve your Chubbs Bars experience all around. Package deal one bar of your choice and bag for $15! Want to win your very own Chubby Saver, along with a Chubbs Bar of your choice? Here's how to enter: Simply leave us a comment below! We will pick a random winner, and contest will close at 12 PM EST Wednesday, April 24th. Winner will be announced by email, so make sure to keep an eye out!